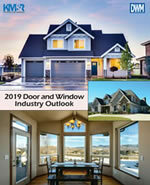 Construction spending was mostly up in January from a year ago for most building segments that use large amounts of glass, according to the latest U.S. Census Bureau report. On a seasonally adjusted annualized basis, nonresidential construction saw a slight 0.1-percent decrease between December 2017 and January 2018 in the value of construction put in place, but it was up 2.4 percent from January 2017. The healthcare building segment is continuing to ascend, as spending in this category increase 11.7 percent for the year and 1.5 percent from the previous month. Also in the institutional classification, educational building increased 4.9 percent year-over-year and 0.9 percent month over month. Lodging construction performed well, with yearly and monthly spending increases of 10.5 and 1.2 percent, respectively. Not all was positive, though. 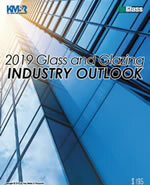 The glass-friendly office sector continues to level out and saw a 1.3-percent decline between December and January. That segment has pulled back 2.4 percent from a year ago. The other “commercial” category, which includes retail, also dipped on a month-to-month basis, by 1.8 percent. However, commercial is up 6.4 percent from the same time last year. The biggest year-over-year surges came from the small public safety category (33.5-percent increase) and the growing transportation segment (20.2-percent increase).